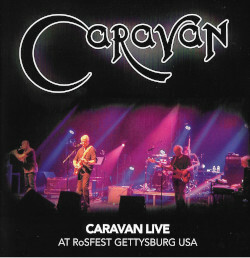 Caravan’s sell-out concert at the Shepherd’s Bush Empire in London on the night of October 8th 2011 was favourably reviewed in Classic Rock Magazine last month. We have reproduced the text for your reading pleasure belowAfter years of dormancy Caravan are taking their quintessentially English show back on the road. All the trump cards of early-70s prog abound even if their appearance is now less cosmic hippie more senior management with a touch more grey than pink. For all the visual disconnect between the suede~iacketed Canterbury groovers of their heyday and the affable sensible-shirted chaps on stage tonight the gig is a joyous occasion. Misleadingly billed as Caravan Play In The Land Of Grey And Pink perhaps as they scatter selections from it among other classic tracks and newer numbers but Winter Wine is the only absentee. By the time they launch into the scintillating 22-minute climax of Nine Feet Underground nobody’s complaining. This shape-shifting magnum opus steals the show the audience holding their breath to see if the distinguished gentlemen can still carry off its myriad changes and dynamics without sacrificing its innate momentum. They do magically. That 1971 album has enjoyed a resurgence of favour as a new generation realises it blows today‘s folk-jazz-influenced combos out of the water for warmth invention wit and panache. Tonight the exquisite impish Golf Girl has us all imagining golf balls raining down from the heavens and encore Love To Love You shows its chorus is still a masterclass in hooky simplicity. Poignantly of the original personnel only singer-guitarist Pye Hastings is present. 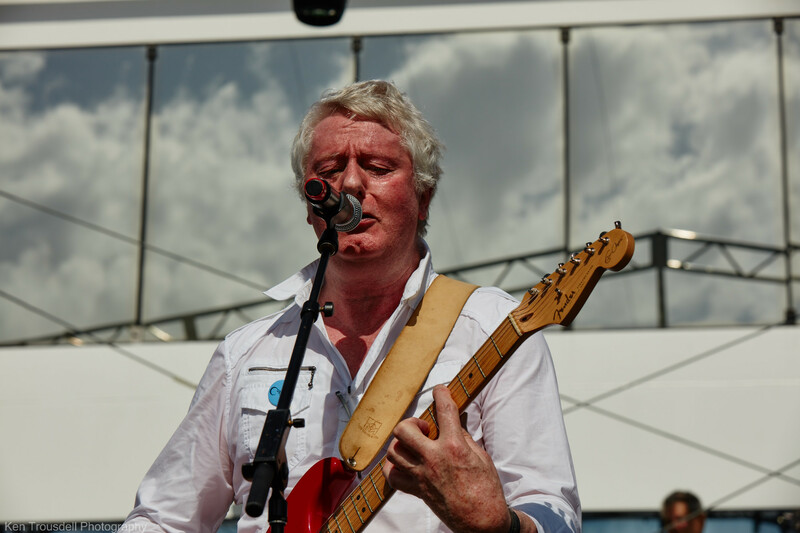 He s a reticent frontman allowing Geoffrey Richardson the ‘new boy’ who’s been with Caravan on and off since ’72 to take MC duties. Despite referring to If I Could Do It All Over Again I’d Do It All Over You as the first album (he’s rapidly corrected) he’s an engaging host handling intros while frantically switching between viola flute second guitar you name it. When he embarks on a spoons solo energetic new drummer Mark Walker (replacing the ill Richard Coughlan) whips out a washboard and they duke it out. On keyboards Jan Schelhaas matches Dave Sinclair’s landmark flourishes while bassist Jimmy Leverton keeps everything motoring. “And he sings like a bird” says Richardson “Albeit a vulture”. Curved Air had earlier unblocked our doors of perception with their pop-psychedelic blend Paul Sax’s violin solos frenzied guitarist Kit Morgan ablaze and Sonja Kristina in imperious voice and jigging with abandon. Marie Antoinette took off our heads and Backstreet Luv gave us flashbacks. lt’s heartwarming to witness both bands do it all over again. This entry was posted in Gigs, Reviews and tagged 2011, Classic Rock Magazine, Shepherds Bush on November 18, 2011 by caravan.